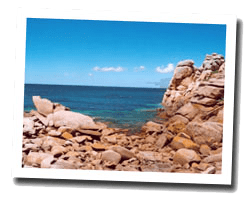 The Côte de Granit Rose (Pink Granite Coast) is one of the most popular tourist sites in France. 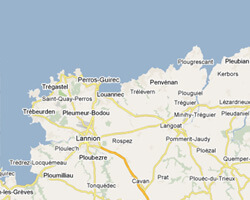 This is the name given to the coastline of Brittany bathed by the Channel and located between Trélevern and St-Michel-en-Grève. The coastal path offers exceptional landscapes and panoramas on singular pink rock chaos and islands offshore. At the seaside, there are harbours dedicated to sailing and sandy beaches pleasant for children. Perros-Guirec is the most famous seaside resort in the region. On the Côte de Granit Rose enjoy a seaview holiday rental.